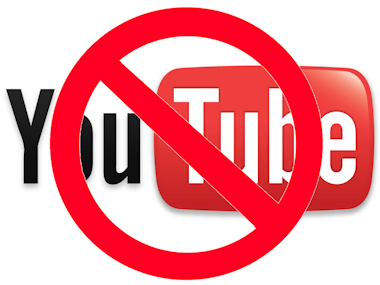 Don’t get me wrong, we love YouTube for Marketing…. and cat videos or Gangnam Style. But when you’re trying to connect with prospects and customers in a more personal way, YouTube falls short. Why? Because it’s not created for the two most important people involved in the deal, you and your client. Every B2B buyer wants a trusted adviser and a personal sales experience tailored for them. Sending your clients to YouTube is like throwing a kite into a tornado. Who knows where they’ll end up? Buyers want to be personally greeted with content relevant to them, with an easy way to respond and schedule a time to talk to their rep. That’s not YouTube. Plus, clients want responsiveness, and reps need to know when to respond promptly. According to InsideSales, “50% of buyers choose the vendor that responds first.” How can you be the first to respond if you don’t know who’s watching your video on YouTube or Vimeo? With OneMob, you can! Reps can record and send videos to anyone in the customer life cycle, and track specific viewer engagement in real time. And not only does OneMob make reps more responsive, personal videos have proven to increase response rates from the prospect and customer by up to 10x. So it’s a win/win! Videos are incredibly more engaging than traditional plain text emails, period. And if you haven’t heard, the OneMob Web App allows you to upload any video (yes, even videos that are not recorded in OneMob). Whether you’re recording a personal video, or uploading an existing one, once it’s saved on the OneMob platform, it’s synced everywhere – Mobile, Web App and Salesforce – so you can send it from anywhere and track engagement in real time. As a Sales or CSM rep, these insights will enable you to better shape your strategy for emails, calls and presentations. Check out this demo on how to upload your video to OneMob, share it with prospects and customers, and track engagement!